Right on the island of Honolulu, restaurants are set by the shore of our beaches. There are many restaurants specializing in creative marijuana infused dishes. All of our restaurants offer half-price to women, while men pay full price. Our five-star chefs get fresh ingredients from our local waters and farms. We also offer marijuana bars, and a variety of different cuisine restaurants. Come enjoy some high times at our restaurants, and enjoy it with the best women you will ever meet! Come over to MaryJane's Tiki Lounge for some fun moments with your friends. Enjoy a wide selection of bud to choose from, with unbeatable prices for women. Grown from the best marijuana cultivator in our city. You can purchase and smoke right at the bar or lounge. Women are offered discounted prices, and men are offered full price but can receive deals. Prices: $10 gram for women, $15 gram for men. Deals: Buy 2 grams get a joint free. *If you want more details on prices and deals, stop by and speak to a budtender! We get our sushi fresh from the ocean each day. Tuna, salmon, yellow tail, you name it, we got it. Customers have a choice to whether or not they want marijuana infused sushi or regular sushi. Men can only dine at this restaurant if they have a women present, if they do not, then they are not allowed into this fabulous venue. Our sushi rolls are about $8 but we also offer an all you can eat option for only $20. Don't miss out on the delicious taste of the ocean! Tired of marijuana? What was once known as WholeFoods, is now a convenient drug store/ super market know to many as WholeDrugs. Products include heroine, cocaine, and meth. Of course we offer these products at a minimum price for women and whole sale for men. Here at Infused Eats! is a multicultural cuisine with marijuana infused into the dishes. You can order anything from hot dogs, pasta, orange chicken, tacos, and much more! After eating here you will feel really relaxed at home due to the marijuana infused dishes. Specials are offered to women such as the combo deal that comes with a main dish, side, and drink. All this for just $10. For men, they must pay for each item separately. The dishes range around $5-$15 depending on what you want. You won't regret coming here, and you'll be coming back from having munchies! Every place around the world has a Mcdonald's but Honolulu Ruins has created a McDope! 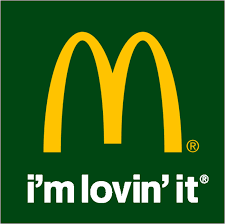 Come enjoy your favorite original McDonald meals and drinks with the kick of marijuana with every bite and sip! Feel welcomed with all of our male employees. Women are served first! The purpose of this page is to show how restaurants are affected because of the feminist-stoner city we created. We are trying to exaggerate that there is still no equality between women and men as of today, so in our dystopian city, in the future, women are superior to men. Just like men are superior to women today. In the article "Gender Inequality and Women in the Workplace," Harvard University states "women put many more hours into...household activities than men. This greatly disadvantages women in the workplace." This quote shows that women are imferior to men because they focus more on household duties and focusing on their children because they have to. So they aren't able to have high end jobs that men have. So this makes people look down upon women for not working, which leads to the opinion that men are still superior. Regarding the restaurants page, we incorporated that women get deals and discounts, while men do not. This is where the inequality comes in, and it shows how feminism plays a huge role in our society. Since marijuana is legalized for recreational use, our restaurants start to infuse it into their food. We are trying to show what would happen if marijuana is legalized. ​We also have our Whole Drugs store which sells harsher drugs. This is because in the article "Is Marijuana a Gateway Drug," the National Institute on Drug Abuse believes "the increased vulnerability for addiction to other substances of abuse later in life [have been] reported for people who begin marijuana use early in life." It is said that people who smoke marijuana will then start to use other harsher street drugs such as cocaine, heroine, etc. In our dystopian city, marijuana is legalized so our citizens also have acess to these other street drugs. We are trying to also show marijuana can be a gateway drug.